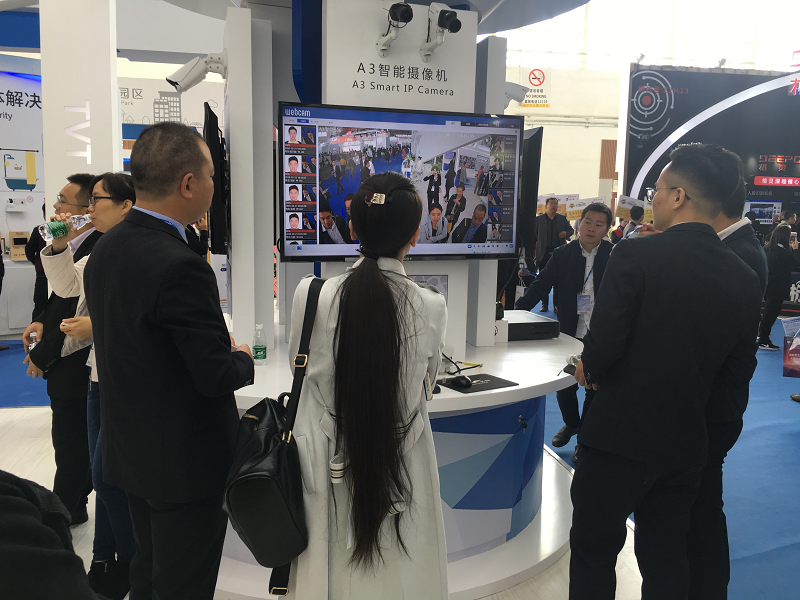 With the big step forward for AI industry, developing an intelligent surveillance platform is one of the key advantages for main players in CCTV industry. 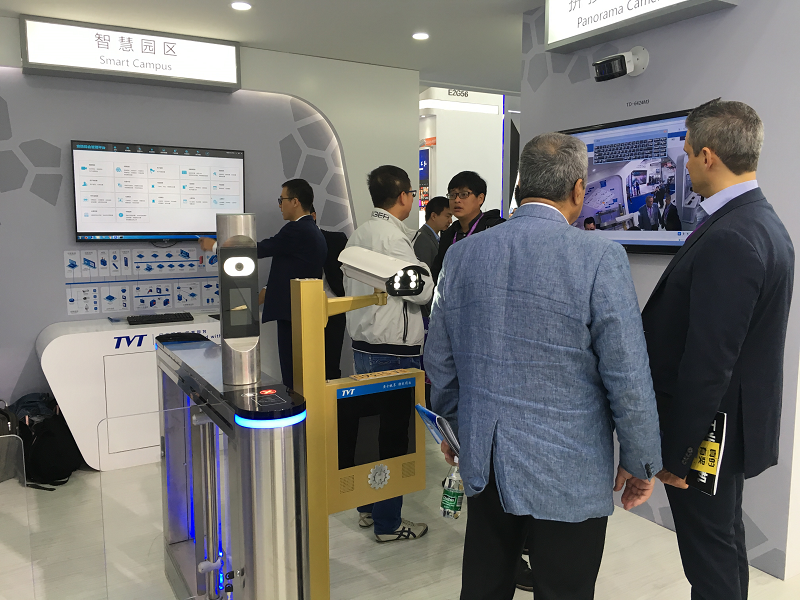 This time TVT industrial solutions yield unusually brilliant result, with the major breakthroughs in face recognition, LPR and video structuring algorithm, as well as integrated with the latest intelligent product, NVMS 2.0 AI platform well organizes different type of devices and bring its own flexible ability, the customers from various industries, such as factory, school, retail, bank and government, show strong interest. 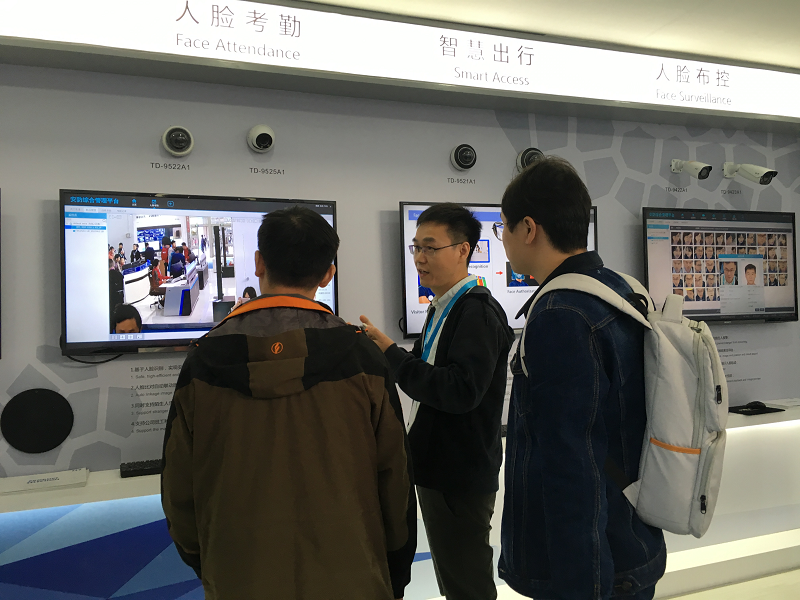 NVMS 2.0 AI is available for purpose with face access control, face greeting, face attendance, face patrol and face surveillance, highlighted with face recognition, people counting statistics and face tracking. 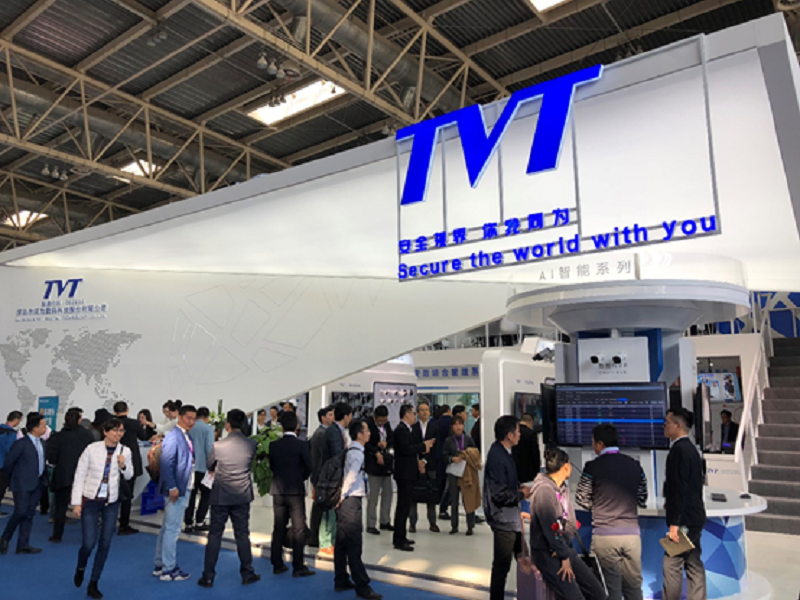 TVT, as a well-known manufacture in CCTV industry, this time doesn’t only show key updates from IPC/NVR/HD Camera/DVR, but to visitors’ big surprise, it also strongly promotes the flexible and practical industrial solutions empowered with AI, thus it will greatly help upgrade the business structure and bring additional value for our partners. 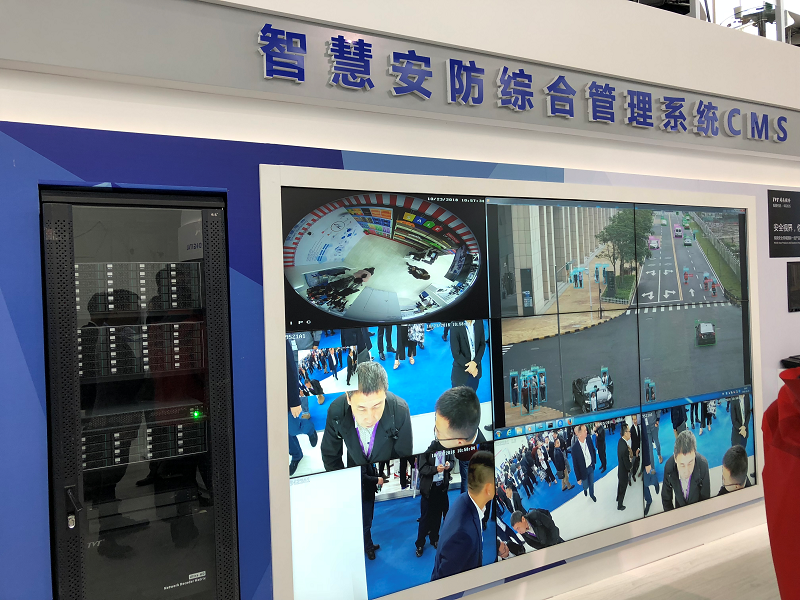 The AI area is equipped with latest devices, such as intelligent NVR, A3 AI camera, video structure server. The server, with deep learning algorithms, can well recognize people, vehicle, bicycle and so on, it can be easily deployed and meet various typical applications. 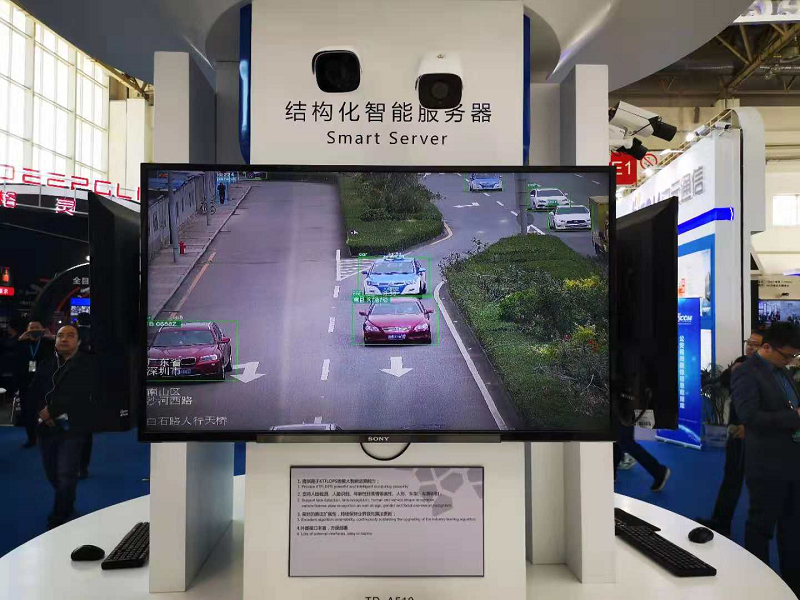 The A3 AI camera with 1/1.8” 6MP starlight sensor, adopts latest main chip embedded with NNA, integrated with various deep learning algorithm such as face detection and recognition, LPR and video structure, it can be used for car parking and transportation surveillance. 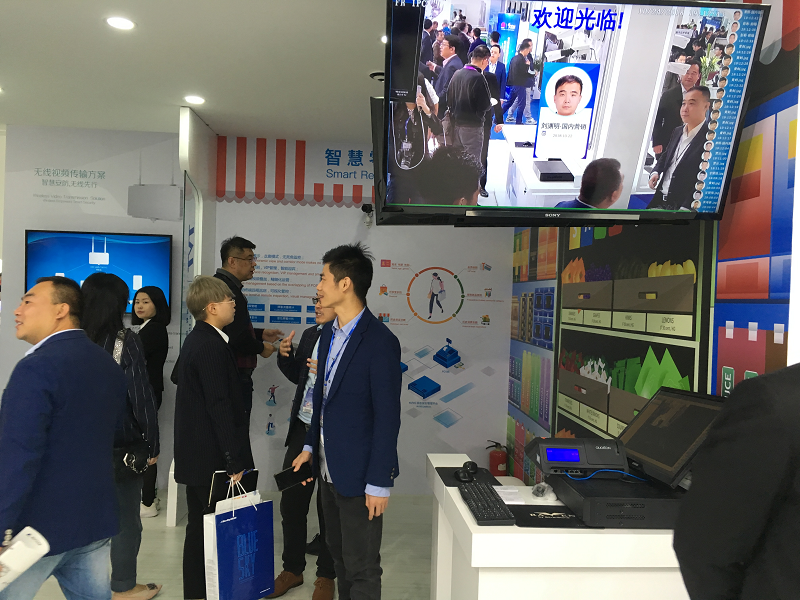 Besides, the camera can simultaneously detect 100pcs face, with a big target library of 100,000 pcs, also can be widely used for different types of main entrance and square. Moreover, the 4MP starlight series and panorama camera are very hot. The panorama camera integrated with 4 sensors , can simultaneously provide 180°panoramic view and specific partitions, very easy for proper surveillance . 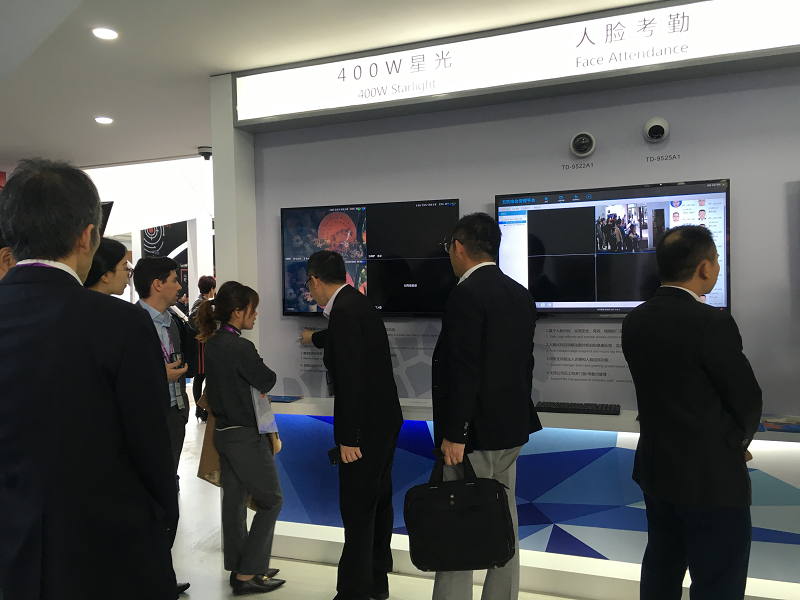 To make visitors fully understand TVT AI solution, we set two interesting senses at our booth. 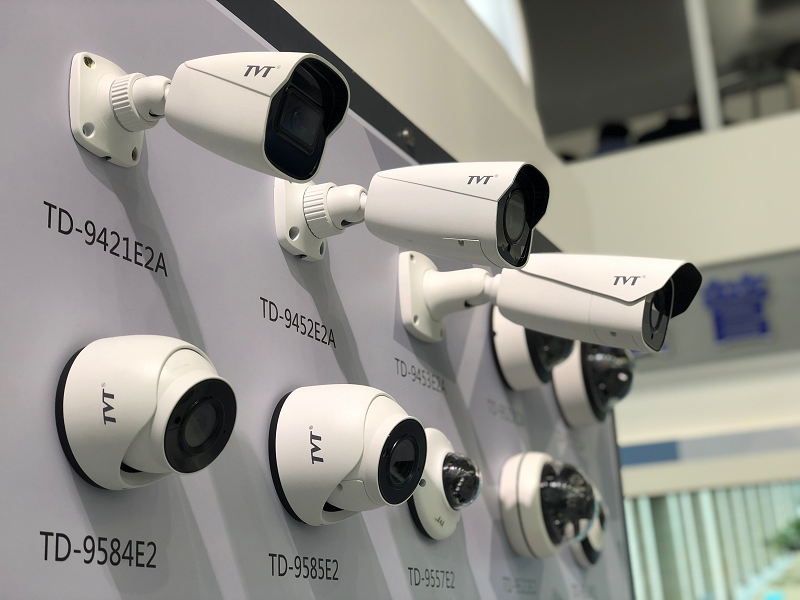 TVT industrial zone solution integrates with face recognition, vehicle management, face access control and burglar alarm, effectively manage the daily surveillance and protect personal security and property safety. TVT smart retail solution combines intelligent face recognition with advanced big data analysis algorithm, it can greatly help dig out potential selling points, identity valued client, improve the service and ultimately achieves business growth for retail stores. The solution features with 360° panorama view by fisheye camera, video screen overplayed with POS text, face greetings for valued clients and real-time customer flow statistics built by NVMS2.0. All these ensure good service and offer helpful data for commercial decision. AI era is really coming, intelligent security surveillance has gradually been the main trend, 2018 is the initial AI year for us, this year TVT still work hard and explore the best solution for regular CCTV devices, meanwhile, this year we make big upgrade, correct big resource and develop new AI solution ,especially face solution .As a main CCTV product and solution provider, TVT will constantly correct inside and outside resource with market and R&D oriented , follow the main industry trends, keep improving , and offer better & better solution for users ,meanwhile bring additional value for our partners, we secure the world with you !